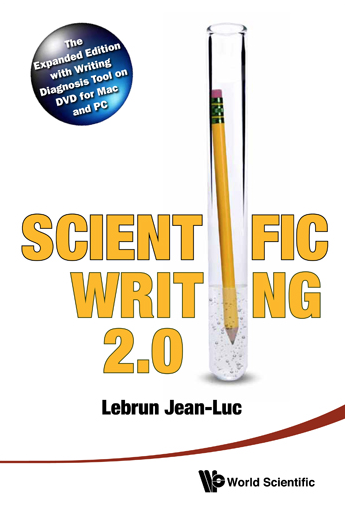 Based on the book Scientific Writing 2.0: a Reader and Writer’s guide, this course promotes clarity, fluidity, conciseness, and organization in scientific writing. As readers, we often approach scientific literature with a sense of dread. It is as if by the very nature of being scientific, journal papers become dry, tedious, and generally unpleasant to read. After this course, you will see that this correlation is not a necessity - with the proper writing skills, any journal paper can be both clear and interesting, including yours. More than just a course on scientific writing, we will arm you with the tools to increase your chances of publication. Take a sneak peek into the reviewer's process, and understand the editor's considerations. With some tweaks, your paper can make it to the editor's desk without being "vertically filed" into the trash can. You will learn how to write for the reader, not just in theory, but in practice. In order to do this, course participants will participate in rewriting exercises with the reader scientist in mind (and especially the reviewer and editor). You will be given checklists and open-source assessment tools created specifically for this class (SWAN, etc) to control the quality of your figures and of your manuscript’s title, abstract, introduction, structure, conclusions and references. Finally, you will learn how to write fluidly to maintain the attention of the reader. 45% shorter. –Sentences on average 16 words shorter. The revised manuscript is visibly far ahead of the original in both clarity and conciseness. To conduct this transformation, ten problems with the original text were corrected. Can you determine all ten?